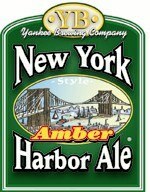 Hearty brown ale with brawny mocha aroma, moderate grain appeal, syrupy malt texture, and slightest spiced fruit hints. Though lacking sufficient overall character (its flavor flattens by finish), delicate chocolate notes enliven bland aftertaste. Brewery defunct: 2006.